Two prime time serials on Russias Channel One are indicative of the countries official Vergangenheitskultur regarding the October revolution which happened exactly 100 years ago. Perception of the back then Red Russian revolution is ambivalent in contemporary Moscow. 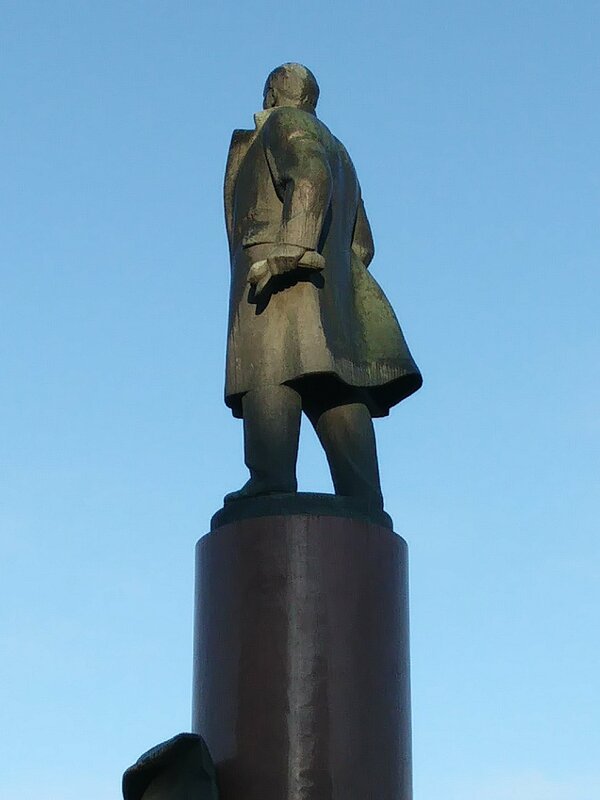 On the one hand some selected protagonists, such as of course Lenin, are omnipresent: Leninskiy avenue, Lenin library, Lenin Subway, Lenin statues (such as the big one on Kalushska Square, pictured below). But these are mostly leftovers from Soviet times. On the other hand in official narratives of Russian history the 1917 October revolution is depicted as starting point for unrest, disorder, famine, and plain chaos. For example, in a recent exhibition commerorating the 1917 Revolution, “Code of the Revolution”, I recognized no link drawn between 1917 and, say, post-war successes in space technology and ceconomic development. The first serial depicted the life of Trotsky, a Russian revolutionary, who later flew to Mexico. The plot is that Trotsky himself tells his life from a retrospective perspective to an American journalist in his late exile. We see mainly episode from his pre-revolutionary exile in Switzerland and other European countries. Trotsky is depicted as tragic hero, while Lenin is less smart but more successful in terms of influence. The second film lenght serial depicted the life of Lenin until the point when he and his comrades re-entered Russia after the February revolution. We see his wife, we see the German generals how they agree to let Lenin travel via Germany to Russia in an attempt to end the war with Russia by destabilizing the country. The tragic hero in this serial is an unkown military sergeant who is trying to stop the train before he reached the Russian border.